A heartfelt tale of family, specifically that of mother and daughter, and the bond between sisters, who, even though they may fight like crazy, always have each other's backs. Recommended if you're looking for a middle grade story by an #ownvoices author, set in Texas and Mexico, blending legends like La Llorona with magical realism. Bonus: The author shared this link to the publisher's "Mythological Glossary for Summer of the Mariposas" which shows the parallels between Summer of the Mariposas and The Odyssey. The publisher also has a teacher's guide. 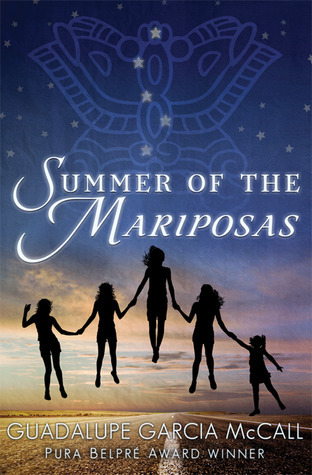 Sign into Goodreads to see if any of your friends have read Summer of the Mariposas.